Lionel Rose, Daniel Geale, Johnny Famechon, Lester Ellis, and Barry Michael just to name a few. More often than not, two names are normally at the top of the list; Jeff Fenech and Kostya Tszyu. Listening to the radio a while ago, a question was asked as to who was (or is) Australia greatest world champion in any sport. Within the debate, both Fenech and Tszyu were mentioned and taken into an in-depth discussion. So I wanted to take the debate to The Roar. Both men dominated in their respective eras, with many world championship titles between the pair. So who is the best boxer in Australia’s history? ‘The Marrickville Mauler’ or ‘The Thunder from Down Under’? You decide. To assist in your decision, I’m going to recap each man’s career with titles won and opponents. I’ll start with Fenech. Fenech started his career in 1984 and went onto have a record of 29-3-1 (21KO). In these 33 fights, Fenech would win three major world titles (major titles being the IBF, WBC, WBA or WBO) across three weight divisions, a feat that is yet to be repeated by any Australian boxer. In 1985 – in only his seventh pro fight – Fenech defeated Satoshi Shingaki for his IBF Bantamweight title. 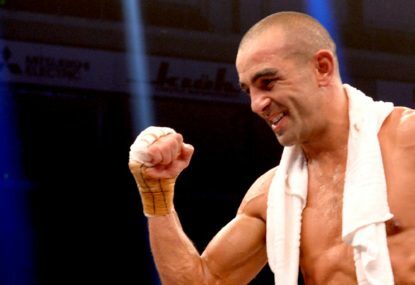 Fenech would defend the title three times against the likes of Jerome Coffee, Steve McCrory and a rematch with Shingaki, winning convincingly in all three bouts. 1987 saw Fenech move up in weight to the super bantamweight division to challenge Thai fighter Samart Payaaroon for his WBC title. Fenech easily won with a fourth-round knockout and defended the belt twice with KO victories over Greg Richardson and Carlos Zarate. Zarate was a two-time WBC Bantamweight champion in the late 1970s. In 1988, Fenech again moved up in weight to the featherweight division and fought Victor Callejas (a former WBA Super-Bantamweight champion) for the WBC title. Fenech won in a ten-round TKO to complete his three titles in three division status. Fenech defended the title three times and vacated the title in 1990 to retire as an undefeated world champion. In 1991, he returned to the ring and again moved up in weight to the super featherweight division. Rhis is where his career will be forever marked as one of the biggest robberies in boxing history. June 28, as an undercard fight to Mike Tyson versus Donovan Ruddock, Fenech challenged longtime WBC super featherweight Azmah Nelson. 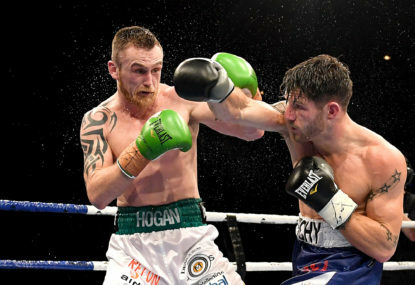 Fenech dominated the fight, winning ten rounds to two but, at the end of the fight, the judges called it a draw. Therefore, Fenech did not win the title. Promoter Don King who was allegedly pulling the judges’ strings stated “we has to do it again” to promote a bigger rematch. 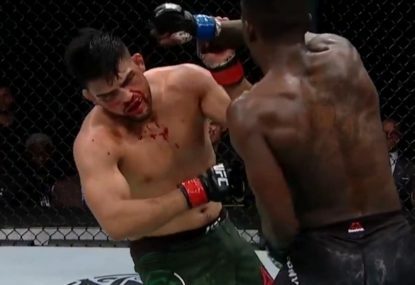 The rematch did happen in Australia in front of the biggest live crowd at that time for a boxing match, a record that stood until the first bout against Anthony Mundine and Danny Green. Fenech suffered his first ever loss as a pro and, from there, his career fell apart. After another loss to Calvin Grove in 1993, Fenech was absent for the ring for over two years until 1995. In 1996 Fenech would have one last title fight against Phillip Holiday for the IBF lightweight title, but lost by TKO in the second round. Fenech then finally retired for good. In 2008 he had a rubber match with Azmah Nelson to settle the score, but this fight had little meaning. So, to recap, Fenech was a three-time, three-division undefeated champion who never lost a fight as champion. He lost challenges, but never a fight as champion. Of his 33 fights, 13 were for world titles and he had eight successful defences. Pretty impressive. Fenech was a true beast of the ring with second to none condition and an animal like attitude. He would undisputedly be the best except for one man; Kostya Tszyu. Tszyu has a lot in common with Fenech, they both had 33 fights and were both trained by Johnny Lewis. Tszyu started his career in 1992 and, just three years later, defeated Jake Rodriguez for his IBF super-lightweight title. Another common factor with Fenech, both men’s first world title was with the IBF. 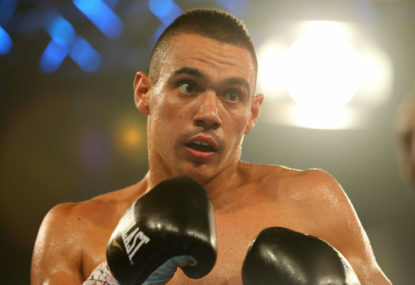 After five defences against the likes of Roger Mayweather (Floyd’s uncle), Hugo Pinea, Corey Johnson, Jan Piet Bergman and Leo Mas, Tszyu lost his title to Vince Phillps in a ten round TKO. Not letting the loss finish him, Tszyu returned to the ring and, in 1999, became the WBC super lightweight champ by defeating Miguel Gonzalez (a former WBC Lightweight champ) for the vacant WBC belt. After two defences against Julio Chavez and Ahmed Santos, Tszyu entered into a unification bout with Sharmba Mitchell putting up his WBC belt for Mitchell’s WBA belt. Tszyu won the bout to become the WBC/WBA super lightweight champ and the first Aussie fighter to become a dual champ since Lionel Rose (WBC/WBA Bantamweight champ). After a successful fight against Oktay Urkal, Tszyu put up his WBA and WBC belts in a winner take all fight against IBF, ring and lineal champ Zab Judah. This fight would crown the first undisputed champion in the super lightweight division in 35 years. In one of the best knockouts ever, Tszyu took fewer than two rounds to defeat Judah and become the undisputed champ. Since Tszyu, only one man has matched his undisputed status; Terence Crawford in 2017. Tszyu defended his titles against Jessie Leija and Ben Tackie, but was stripped of the titles by the WBA and WBC, leaving him only the IBF belt. He defended it again in a rematch with Sharmba Mitchell but, in 2005, lost the IBF title to Ricky Hatton. 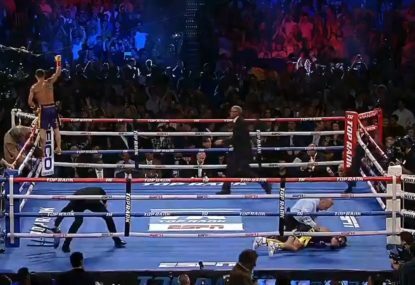 After the bout, Tszyu retired. So, in his 33 fights, 17 of them were for world titles with Tszyu winning 15 – as well as 13 successful title defences. Tszyu had hands like concrete, with 25 of his winning fights coming by the way of knockout. So there you have it. Who was better? The undefeated three-division champ or the undisputed champion?